Kaley, Baptist F 25 4-Mar-1912 Pittsburgh PA 69291673 Per ACWRD, 1865 substitute, 2-3-1865; findagrave info buried in Union Dale Cemetery. 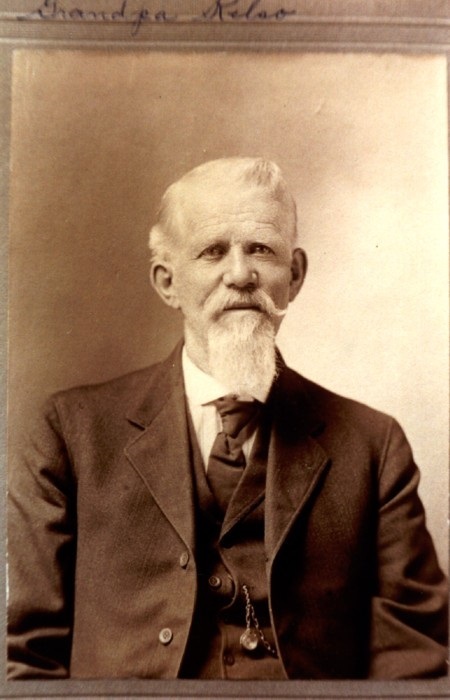 Kauffman, Jonas B 32 June 2, 1864 Cold Harbor VA Not found Aug 31, 1861 recruit; Killed 2-2-64. In action at Cold Harbor, Va.
Kaughman, Sam'l D 20 Beaver Co., Pa. 26-Aug-1932 Mahaffey PA not found Per ACWRD, January 11,1865 Draftee--mustered out with regiment July 24, 1865. Keifer, John D 21 Beaver Co., Pa. August 1862 Bull Run VA not found killed in action; conflicting information--ACWRD states he died a POW, date uknown..
Keith, Daniel B 24 dark 5' 7" grey lawyer Not found January 19, 1865 substitute--Deserted 4-2-65 near Petersburg, Va.
Kelly, James M. H 19 29-Jul-1910 not found Feb 8, 1865 substitute--mustered out with regiment July 24, 1865. Kelly, John D 24 dark 5' 6" grey brown sailor Nova Scotia VA not found 1865 Substitute-deserted May 6, 1865. Kelly, John I 34 August 1862 Bull Run VA not found need to confirm death date. May be John Kelly of Co. D that died at Bull Run. Kelly, Martin C 20 dark 5' 6" blue grey dark laborer Phila. Pa. not found 1864 Recruit; no other information found per ACWRD. Kelly, William D 20 dark 5' 7" black brown laborer Beaver Co. Darlington PA Huntington Co. 29-Nov-1900 Beaver Co. PA X 17008001 Birthlocation per ACWRD. Kelso, Joseph G 19 Hall County, Grand Island NE July 13, 1843 16-Apr-1902 Grand Island NE 58099756 Shot in head; resulting deafness in left ear and partial deafness in right ear. Kemble, Henry E. M 22 not found September 5, 1861 recruit; no other information found. Kendall, John W. A 39 not found no other information available. Kennary, John H not found Per ACWRD, March 19, 1864 recruit. Kennedy, Jos. F. D 18 Beaver Co., Pa. not found Per ACWRD, 1861 volunteer, no further information available. Kenney, William M 24 April 18, 1865 Petersburg VA 3270429 On 3/7/1865 he mustered into "M" Co. ;He died of wounds on 4/18/1865 at Petersburg, VA; He was listed as: Wounded 3/25/1865 Fort Stedman, VA; NOTE: findagrave.com info is possibly or even "likely" a different soldier (from NH and in a NC national cemetery) but coincidental that death date is the same and same name--and not a common name at that! 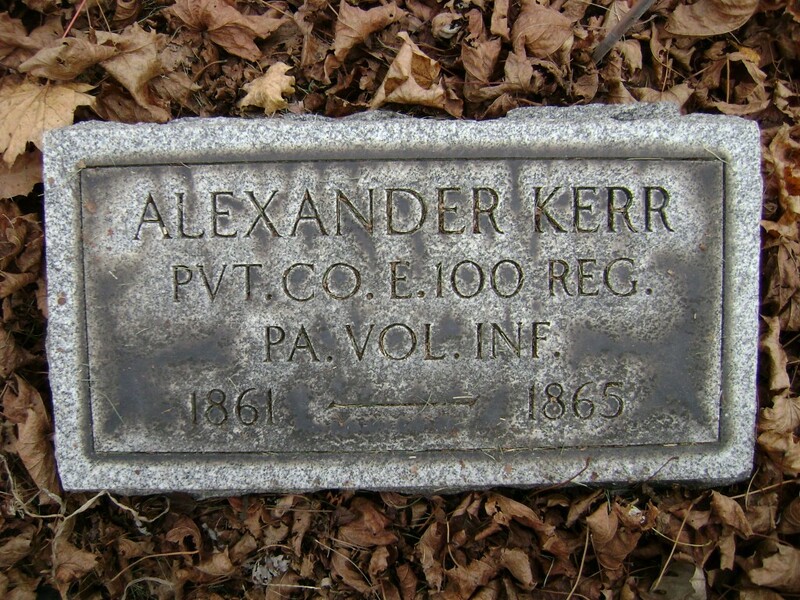 Kerr, Alexander R. E 18 Lawrence Co. New Castle PA Oct 14, 1846 4-Feb-1935 New Castle PA X not found chronic diarrhea contracted while in the service. ; per ACWRD, buried in Oak Park Cemetery, New Castle, PA, Section P.
Kinney, John H 33 not found On 3/19/1864 he mustered into "H" Co.; He deserted on 11/29/1864. Kinney, William G 25 not found On 1/30/1865 he mustered as a substitute into "G" Co. He deserted on 2/20/1865. Kirker, Francis H. C 18 farmer Butler Co., PA June 25, 1843 1-Jul-1927 not found The Medical and Surgical History of the War of the Rebellion. (1861–65. ), Part 1, Volume 2 (Washington, D.C.: Government Printing Office, 1870), 358. Pension card states death July 1, 1927 in Pittsburgh, PA; ACWRD lists death as June 30, 1927; also as wounded at Bull Run in the face and left side--hospitalized 9-6-1862 at Georgetown College Hospital in DC and again 2-4-1863 in Philadelphia at Broad and Cherry Streets Hospital. Kirker, Nesley C 18 light 5' 5 1/2" grey light farmer X Butler Co., Lancaster PA Perry Twp, Lawrence Co., PA Feb 14, 1847 13-Dec-1932 Zelienople PA X 16056246 X 1864 Recruit; no other information found per ACWRD. Kirker, Silas W. C 18 Lawrence Co., Perry Twp. PA Lawrence Co., PA Sept 15, 1845 5-Apr-1927 Ellwood City PA 16056235 X 1864 Recruit; no other information found per ACWRD. Kirling, Cyrus C. E 22 24-Aug-1907 not found 1865 Substitute--wounded at Fort Stedman, 3-25-1865 in left breast. Kline, John C. E 29 3-Dec-1926 Benton PA X 8249953 1865 Substitute. Two middle names John L. C. Kline. Klotzbaiker, John A 30 not found Exchanged Oct 12, 1862 (place not stated); promoted to Capt. June 30, 1862; information per ACWRD. Knapp, Lorenzo K. C 18 not found January 30, 1865 Substitute; mustered out with regiment--July 24, 1865. Koontz, John W. A 49 1881 not found promoted to Capt. Aug 29, 1862 per ACWRD. Kreig, Charles H 19 not found On 3/9/1865 he mustered as a substitute into "H" Co.
Kress, Conrad H 33 not found On 2/27/1865 he mustered as a substitute into "H" Co.
Krouse, John F 37 fair 5' 4" blue light brower Germany Not Found Per ACWRD, 3-6-1865 substitute, deserted 6-19-1865. Kusic, John I 35 not found March 26, 1862 recruit--no other information provided. Kyser, Henry H. F 31 Not Found Per ACWRD, 1865 draftee.